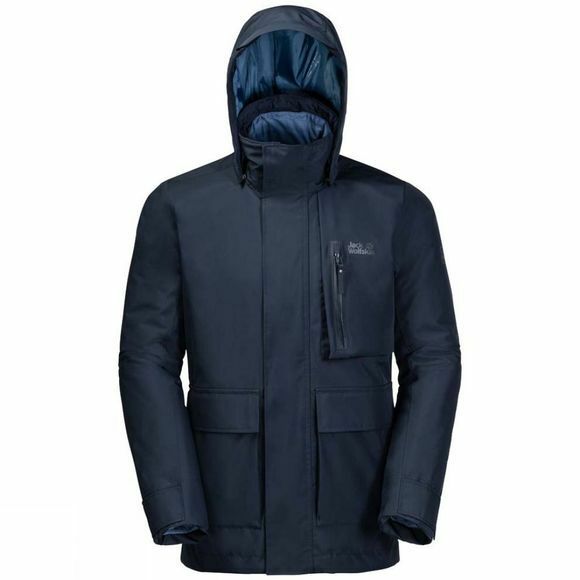 The Mens Fjaerland 3In1 Jacket from Jack Wolfskin is made of recycled materials, so you'll be doIng your bit for the environMent, too.The outer Jacket is fully waterproof, even In heavy raIn. It is also very breathable, so you'll still look cool, calm and collected after runnIng to catch the traIn. The FJAERLAND has a stylish, on-trend silhouette that teams perfectly with your busIness outfit. And there's plenty of room to stash your mobile phone, gloves, etc. 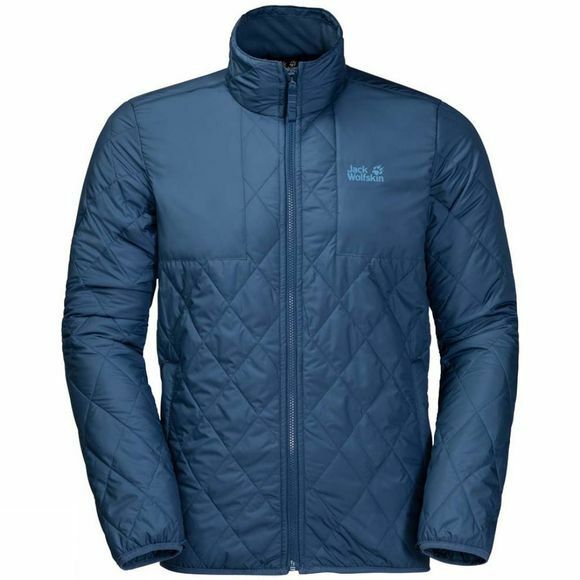 In the four large hand pockets and the chest pocket.An Insulated Inner Jacket makes the FJAERLAND a Highly versatile Winter combo. The Inner Jacket is docked with the outer Jacket usIng a system zip, so you can wear them together or separately to suit the weather conditions.